*Minor spoiler alert* It’s not unusual for a watch to play a starring role in a movie. Often it’s the prop that shows a countdown in a race against time, or it’s a sentimental object, or an indicator of personal style. In the rather stupendous Christopher Nolan mega-production that is Dunkirk (I’m still a little woozy on my feet a day after watching it on an IMAX screen), it’s very much the former. 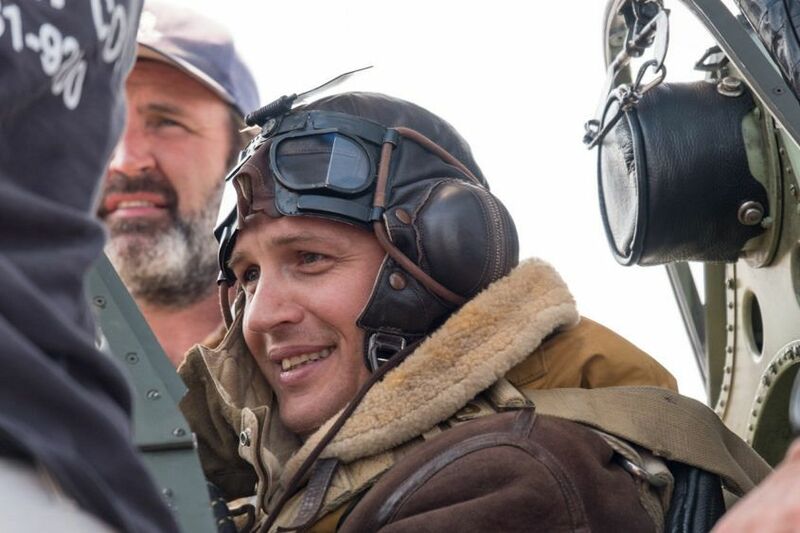 Without giving too much away, Tom Hardy’s character, a Spitfire pilot in the Royal Air Force, must use his watch to calculate the amount of fuel he has left when his gauge is smashed by enemy fire. 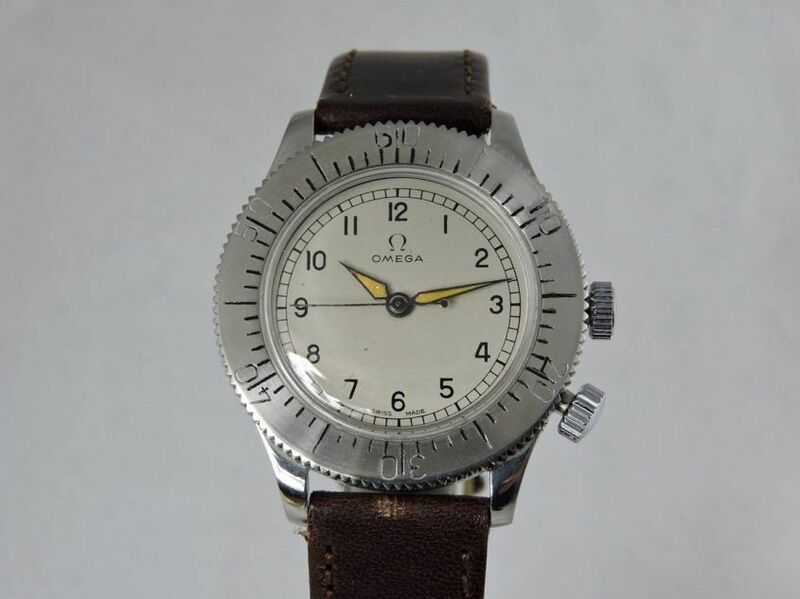 The repeated reference to the watch as the movie hurtles on clearly shows an Omega branded watch, that has been confirmed by an employee at Omega to be the Omega “RAF” 1940, ref CK2129, which was delivered to Great Britain’s ministry of Defence in 1940. Hats off to Christopher Nolan for bothering to research and then source such an authentic watch for the role. Nolan is known for his obsessive attention to detail (read this story about how he made Harry Styles tie his army boots differently to be more true to the era), it’s brilliant to see his focus extends all the way to the wrists of his lead characters. 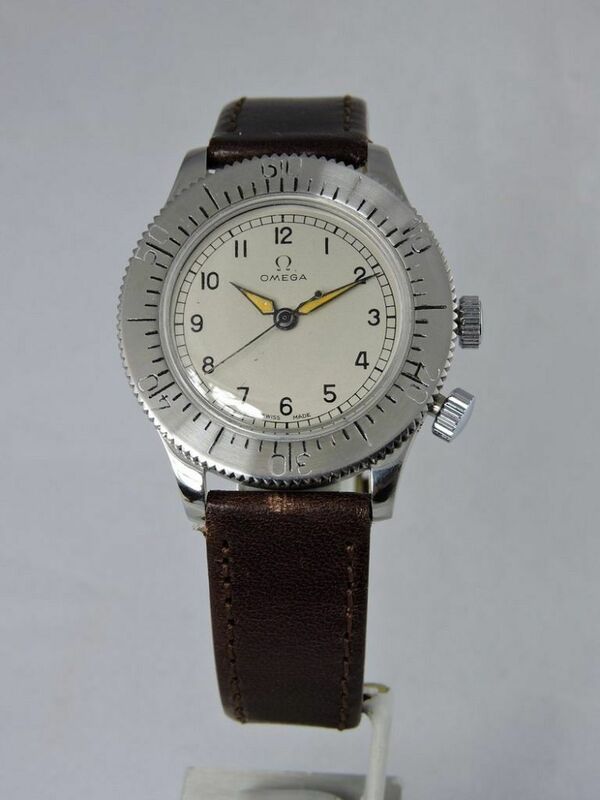 A note dated January 5, 1940 is an “urgent order by the sales subsidiary Omega Watch Co. London (client 1150) for 2000 watches equipped with a rotating bezel and intended for Royal Air Force crews. Delivery from the 10th of March 1940 to Goldsmiths and Silversmiths, purveyors to Her Majesty.” This is republished in the (amazing) Omega tome, A Journey Through Time. 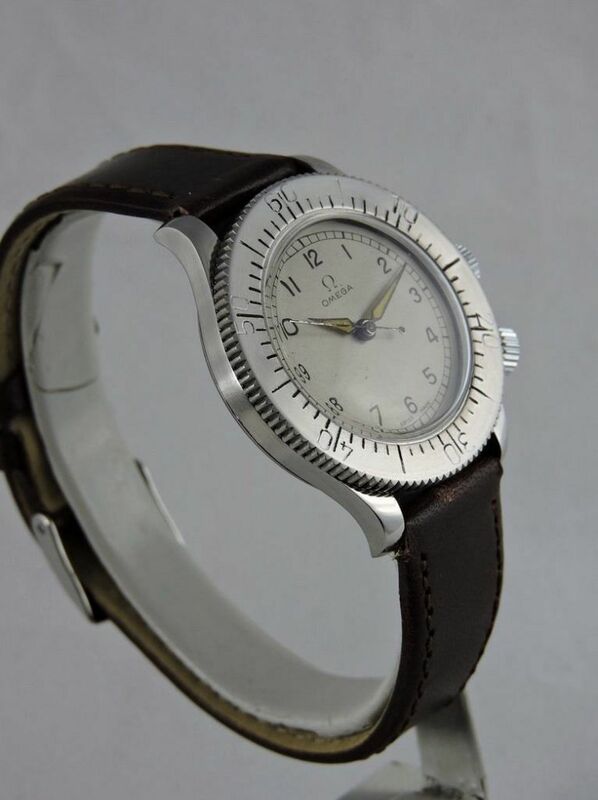 The “RAF” 1940 watch was a military watch for aviators. 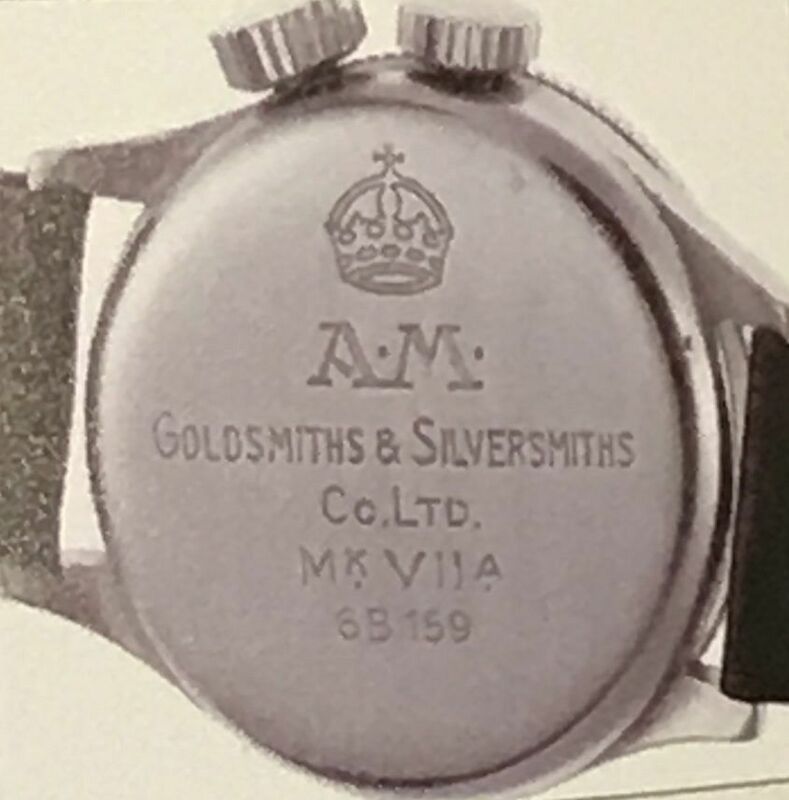 A Journey Through Time describes it as follows: “Steel case with lyre-shaped lugs with grooved rotating bezel with a screwed crown at 4 o’clock allowing for instantaneous reading of flight duration, case back engraved with the British crown and the inscription A.M. – Goldsmiths & Silversmiths Co. Ltd – Mk V11 A – 6B 159 – 3725/40. Calibre 23.4 SC with a centre seconds, special adjustment in four positions to within 10 seconds per day (the same as a chronometer), silvered dial, minute track, modern Arabic numerals, blued steel Poire hands and centre seconds with a counterweight. A model delivered in 2000 units. (ref. CK 2129). 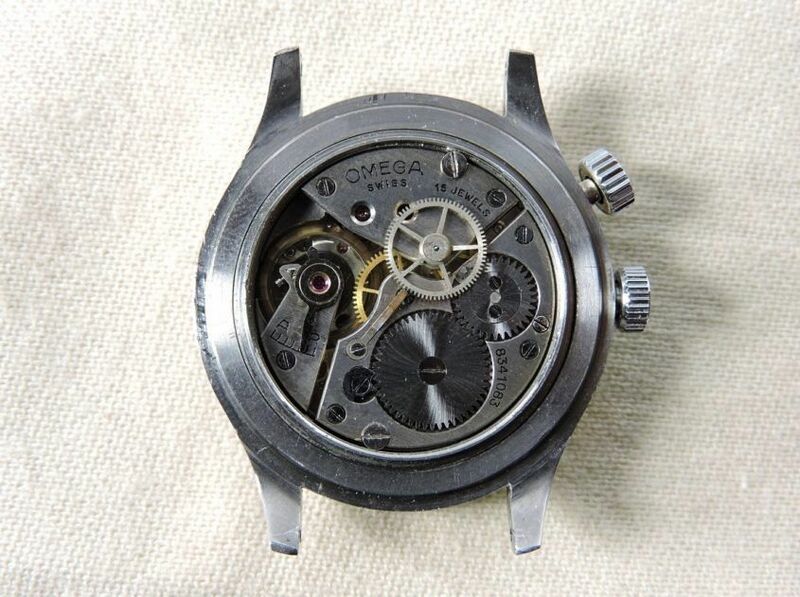 The case for this watch was made by Weems, and was used by several Swiss makers. 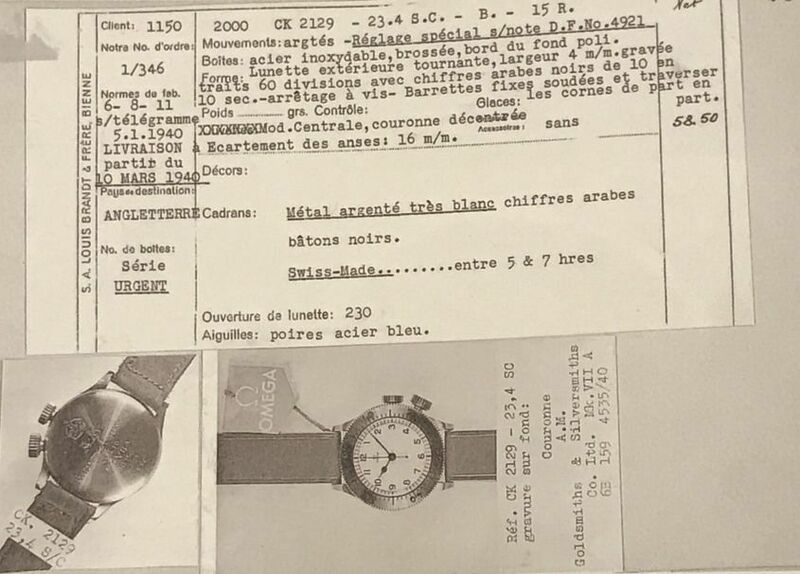 Hats off to Christopher Nolan for bothering to research and then source such an authentic watch for the role. Nolan is known for his attention to detail (read this story about how he made Harry Styles tie his army boots differently to be more true to the era) it’s brilliant to see it extends all the way to the wrists of his lead characters.